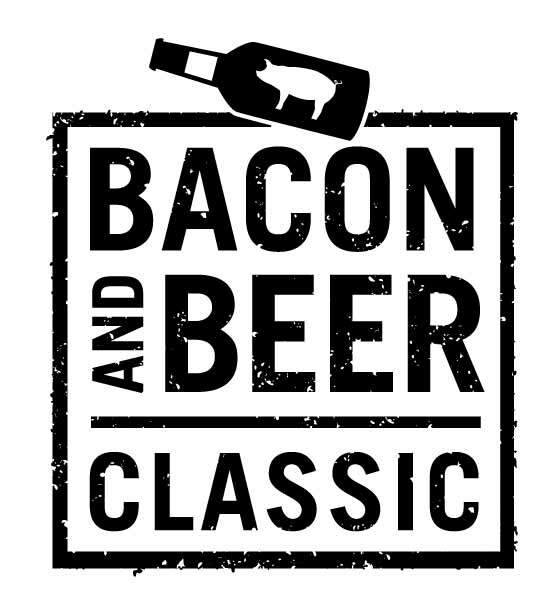 On May 7th the Bacon and Beer Classic returns to Seattle. The event takes place at Safeco Field, is well-attended every year, and features over 100 craft beers and over 30 bacon-infused dishes from some of Seattle top restaurants and purveyors. Tickets are on sale now. Along with beer and food, enjoy fun and games at the ballpark, like giant Jenga, the bungee run, or go to the extreme and get involved in the bacon eating contest. There are two sessions: afternoon and evening. Here are the complete details from the organizers. Sip unlimited pours of 100+ craft brews and try 30+ original bacon-infused dishes from Seattle’s best chefs and restaurants, including Uli’s Famous Sausage, Ivar’s Acres of Clams, and Duke’s Seafood & Chowder House. Play giant Jenga, battle it out on a bungee run, strike a pose at the photo booth and brand yourself with bacon tattoos at this extravaganza. Prove your passion for pork in the Bacon Eating Contest and vote for your favorite bacon dish at the People’s Choice Booth. 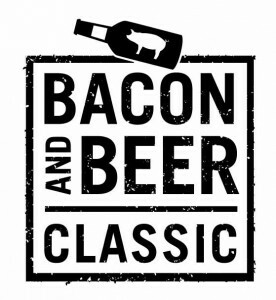 Tickets start at $49 and can be purchased by visiting www.baconandbeerclassic.com. Seattle, WA – April 26, 2016 – Bacon and beer lovers near and far, cause for celebration is here! After drawing sold­-out crowds last spring,Seattle’s original Bacon and Beer Classic is returning to Safeco Field for more sudsy, bacon­-fueled fun. Guests can expect a festival even bigger and better than before, with over 30 different bacon dishes from local restaurants and over 100 craft suds from local breweries. Foodies and baseball fans alike will have the opportunity to explore the iconic home of the Mariners while indulging in delicious suds and grub. They can also try their hand at giant Jenga, strike a pose at the photo booth, battle it out on the bungee run, brand themselves withbacon and beer-inspired tattoos, compete in a bacon eating contest, and more. The all­-star lineup of breweries includes Fish Brewing Company, Elysian Brewing Company, Sockeye Brewing, and NW Brewing Company; all will be pouring two of their best craft beers or ciders. Chefs from Uli’s Famous Sausage, Ivar’s Acres of Clams, Duke’s Seafood & Chowder House, and more will bring their most inventive and delicious bacon-­infused dishes to the plate. The combination of refreshing craft beer and delectable bacon bites is sure to please all palettes. A panel of judges will be on site to rate the sips and tastes and also award winners in select categories. The restaurant awarded the Best Overall Bacon Dish will go on to compete in the 2016 World Food Championships in Kissimmee, Florida. Guests can attend the afternoon session from 1-4p.m. or the evening session from 7-10p.m. VIP ticket holders are offered one-­hour early admission (12p.m. and 6p.m. respectively) and exclusive access to the field, where additional craft beers await. 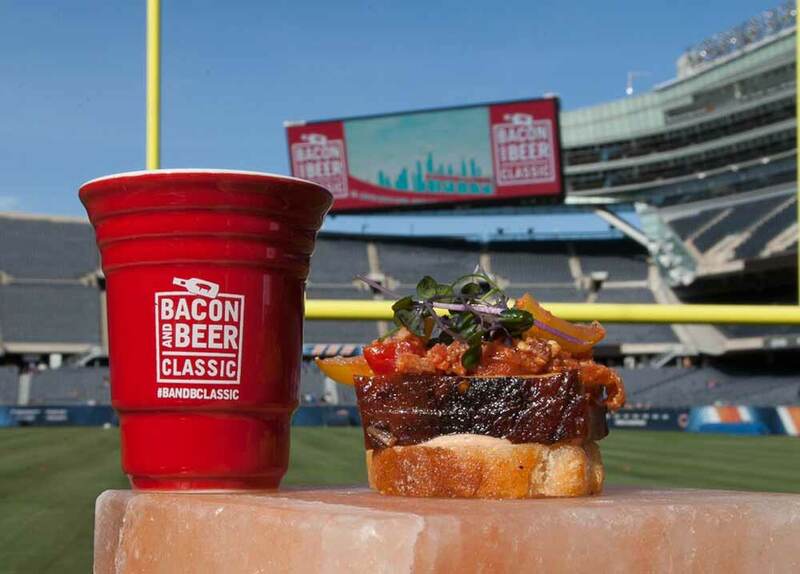 As always, the Bacon and Beer Classic is all-­inclusive. Early Bird General Admission tickets are currently selling at $49 and VIP tickets are selling at $89, but prices will increase over the next few weeks. All tickets include a souvenir Bacon and Beer Classic branded glass to take home. Hosted in sports stadiums across the country, the Bacon and Beer Classic will feature over seven destinations nationwide in 2016, including Denver’s Mile High Stadium on April 16th and New York’s Citi Field on April 22nd and 23rd. Cannonball Productions works hard to make this national festival feel personal to each city. Along with a variety of charitable organizations, Cannonball Productions will partner with a Seattle-based food recovery program to donate any leftover food.